We’ve tapped Luxury Reading’s book lovin’ blogger, Vera, to give us the scoop all month long on what books are worth the read. She’ll be dishing out daily book picks — and here’s pick four. In 1991, Erica Johnson was an investment analyst living in New York City when she met a dark-haired Slovenian poet, Ales Debeljak. On their first date, Ales made it clear that he intended to return to Slovenia in three months’ time, and that he would not let any “forbidden bread” (e.g. forbidden fruit or in this case, Erica) derail his plans. Despite the initial pitfalls of a very long-distance relationship, Ales proposed in 1993 and Erica made the radical decision to leave her job, her family and her friends and move to Slovenia. In the early ’90s, Slovenia was a country that very few Americans ever heard of. 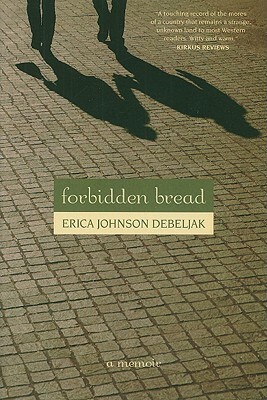 As described by Publisher’s Weekly, Forbidden Bread is at once “a love letter to Erica’s husband and an introduction to the Slovenian world.” Part a reverse mail-order bride story, part a history/geography lesson and part a family account, Forbidden Bread is above all a tribute to the lengths people go to for love.